c3n performance is an indie development studio consisting of two developers. Our goal is to build tools for musicians who want to perform and improvise live music and visuals. 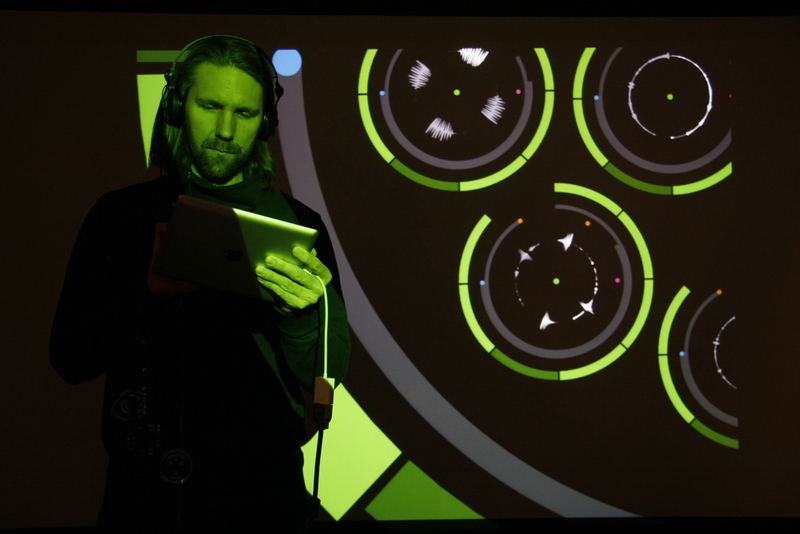 We build new interfaces for touch screens allowing musicians and visual artists to perform directly with their hands. Our grand dream is a collaborative surface of sound and visuals that groups of artists can use to perform together. Still, we have a long way to go to get there. A little more than one year ago we took our first step with the release of c3n play for iOS. The goal was to present our idea and give users an opportunity to try our user interface for free. Now, we are working on our next app c3n loops. In c3n loops users can import their own loops, sync to midi devices, and connect via AudioBus. We are hoping that enough of you buy it so that we can take some time of from work and build more cool apps faster. Today, c3n is a project we are working on in our spare time. We hope you like our apps, please follow our blog and our twitter. We will share as much as possible of our thoughts and progress. If you have any questions, don't hesitate to get in touch. c3n loops is a new tool for producers, DJs and musicians to expand the expressiveness of their live performances. We want loops to be the best and most expressive loop player there is. We have included midi for easy integration into existing setups. Audio import allows you to fill it with your content. With AudioBus c3n loops, easily integrates with your music app ecosystem. c3n play one gives you an introduction to how we think. It is free so you do not have to pay to try our design philosophy. c3n play one comes with sound packs created by our collaborating artists. If you would like to do more we recommend that you buy c3n loops. We love collaborations. That is why we try to collaborate with artists and users as much as possible when building our apps. When we first designed our interface, we did so in collaboration with potential users. Would you like to collaborate with us? Get in touch. Here are some of the artists we have collaborated with. resonant filter and volume controls. Content is the basis of interaction. The music itself should become the interface. Without content the c3n surface is just a black void. With content it is a galaxy of sounds and visuals. Creativity within constraint is at the core of c3n. We create a fluid motion where users act upon the content using a few carefully selected operations. Through this, users create unique improvised performances. Collaboration is a fundamental part of performances. For musicians, and for visual artists working alongside audio artists too. c3n apps are instruments built for expression and mastery. They are stable and can be trusted. We know that the road towards our vision is long and arduous. But we will spend all our passion and free time to make this a reality. You can support us now by buying our apps and showing the world just how awesome and fun they are.